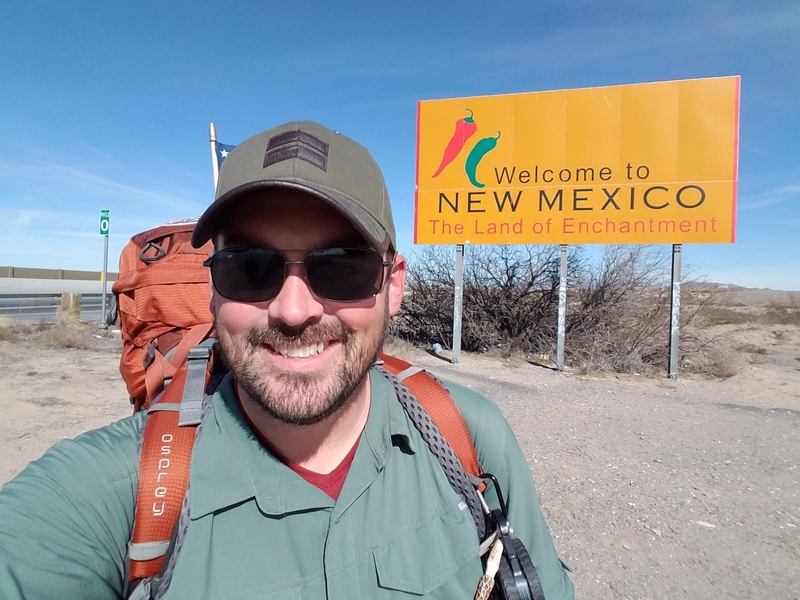 Eli Smith is creating awareness for Veterans on a journey to all 4 Corners of America. I am currently raising awareness on Veterans issues with a focus on PTSD and the suicide rate in the Veterans community by going to all four corners of America. 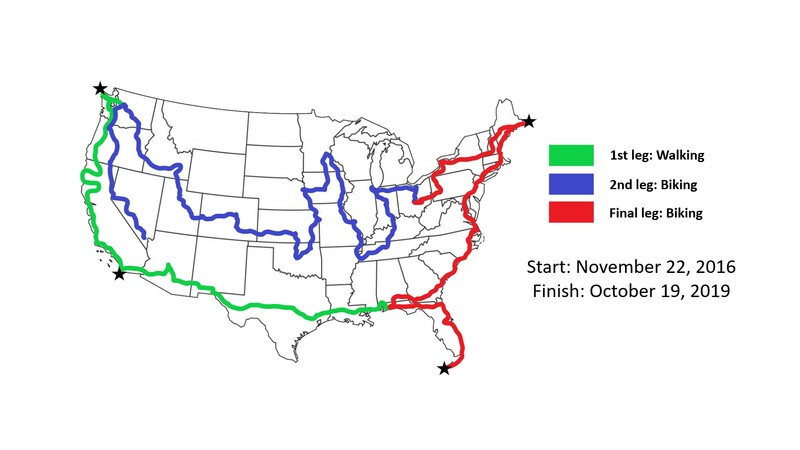 This journey is estimated at just over 13,000 miles. On average, 20 Veterans lose the battle to PTSD every day. We can agree that this is unacceptable and action is needed. Why should you become a patron? Raising awareness across 13,000+ miles of America is not an easy task by any means but it is one that I am undertaking. Your help ensures that this message and help will continue. It will keep this journey going. Your help will go towards food, bills (yes I have bills even though I am now technically homeless), new shoes (I'm on my 13th pair now), permits, and items essential to this trek. Thank you! Awesome! I will send you a personalized post card from the trail as I go through each state! While on this journey I am compiling my best journal notes and photos into an e-book. Proceeds from this book will go to help Veterans. I would like to provide you a copy of the book upon completion of the journey. Every dollar helps as the journey is expensive and long. Thank you! We can meet up on the trail if you are close and also will be included in patron-only live streams where we can talk about updates, conditions, and any questions that you have as well as access to all of the posts. All lower level rewards will be received, as well. On top of all the previous rewards, you will be invited to join me on the journey if you can. Thank you for your support! Wow! You're an official sponsor of this journey and I couldn't be more grateful for it. You're pledge to this journey will help ensure the message gets out there and will go to help so many Veterans! Hiking for 13,000 miles and raising awareness will have many challenges. I want to share this journey with you and all Americans. Your sponsorship ensures this journey continues.